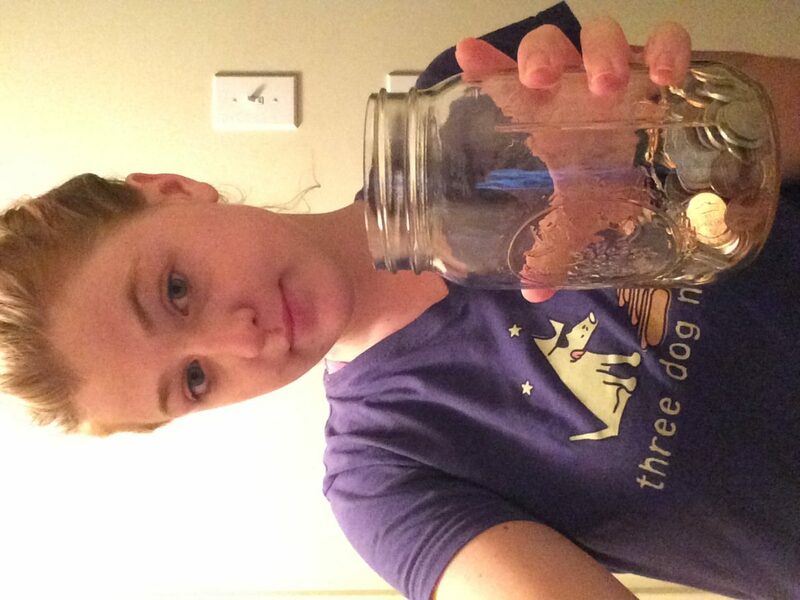 Becca Tresnak collects change and cans in order to save extra money effortlessly (Photo supplied by Becca Tresnak). What is the craziest or most creative thing you have ever done to save money? 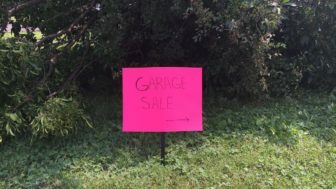 Most people have tried to figure out how to save themselves money, and some people have gone to creative lengths to do so. 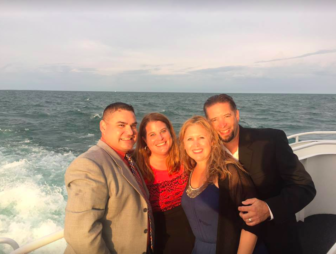 Kelly Paananen, native of Hazel Park, Michigan, has found some creative ways to save money toward vacations. Kelly Paananen (third from the left), holds large garage sales in order to save money toward vacations. (Photo supplied by Kelly Paananen). Paananen also hides money in order to save it for later. 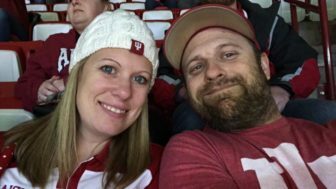 Natalie Kubat, native of Bloomington, Indiana, Donated plasma for a year and participated in paid studies. Kubat, who works for Indiana University, also participated in research studies. “I work at a university, and I often participate in research studies for extra income. One study required that I drink 64 oz of grape juice for 12 weeks. By then end of the study, my teeth were turning purple. It wasn’t the best look, but I earned $500 for participating,” said Kubat. 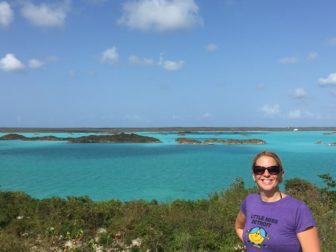 Laura Mathews, native of Madison Heights, Michigan, finds ways to save money while traveling often. When traveling internationally, Mathews tries to save money on meals. “I travel internationally any chance I can. I love to save money by bringing my own food and alcohol. Typically on Islands everything is imported so it is very expensive. Bringing food allows me to save money by not having to buy all my meals at the resort,” said Mathews. 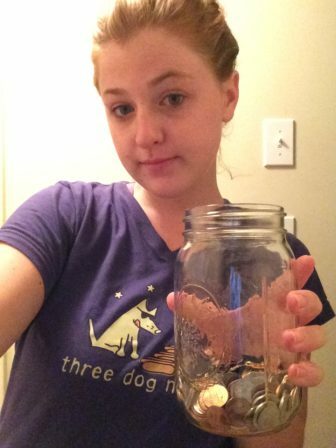 Rebecca Tresnak, native of Royal Oak, Michigan, collects change in order to save money for the future. Tresnak also collects cans and sets aside portions of her paychecks. “I always save and collect my cans to recycle, and then immediately put that money in the bank. Also when I get a paycheck, I always take a certain percentage of it and put it in the bank to save it,” said Tresnak. Besides donating plasma or collecting cans, there are other ways that are helpful with saving some extra money. “Store credit cards are the devil. Some offer free financing, and I have been burned by forgetting to make a payment, and then all the interest you were saving by using the free financing gets billed to you as soon as you forget a payment,” said Mathews. Sometimes trying to save money can feel more time consuming than not doing it. “I’ve never regretted saving money. It’s hard to do because I would rather be spending it, but once I have more and more saved up, it always feels good to look and see it in my bank account,” said Tresnak. There are several steps and tricks that you can start doing now to begin saving money. What tips and tricks will you use to try and save some extra money? CHARTS: Credit cards and their effects on the U.S.